While I agree with Kashkari that Wall Street is forgetting the lessons of the 2008 financial crisis (and is participating in the development of another dangerous economic bubble), he seems to be absolving the Federal Reserve of itsmassive responsibility for inflating the mid-2000s U.S. housing and credit bubble as well as the current “Everything Bubble” that I am warning about. Make no mistake: by holding interest rates at artificially low levels and pumping large amounts of liquidity into the financial system, the Fed plays the primary role of creating bubbles – not Wall Street. The Fed is the dog and Wall Street is merely its tail – not the other way around. Of course, Wall Street is guilty for participating in bubbles originally created by the Fed – it takes two to tango. 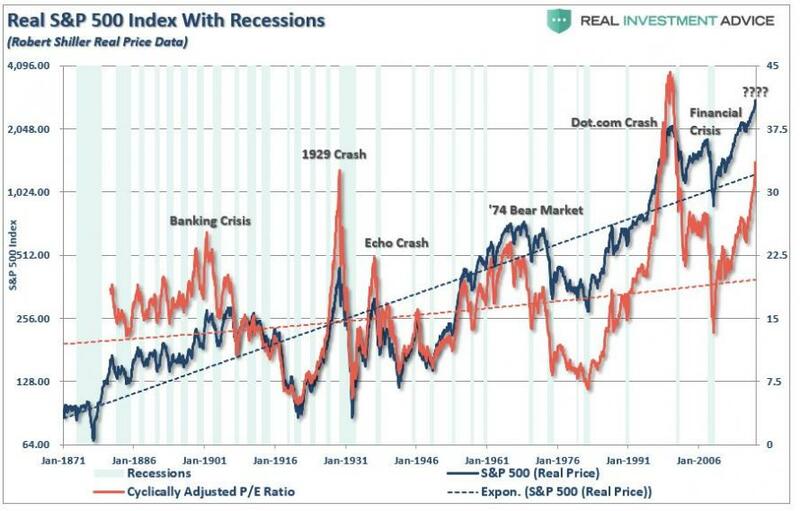 The chart below shows how relative troughs in the Fed Funds Rate correspond with the formation of disastrous economic bubbles that pop when interest rates rise. The mid-2000s housing bubble inflated because the Fed helped to push mortgage interest rates to very low levels, which led to a borrowing binge that sent housing prices to unsustainable new highs. The U.S. housing bubble would not have occurred if the Fed didn’t meddle and distort borrowing costs and markets. 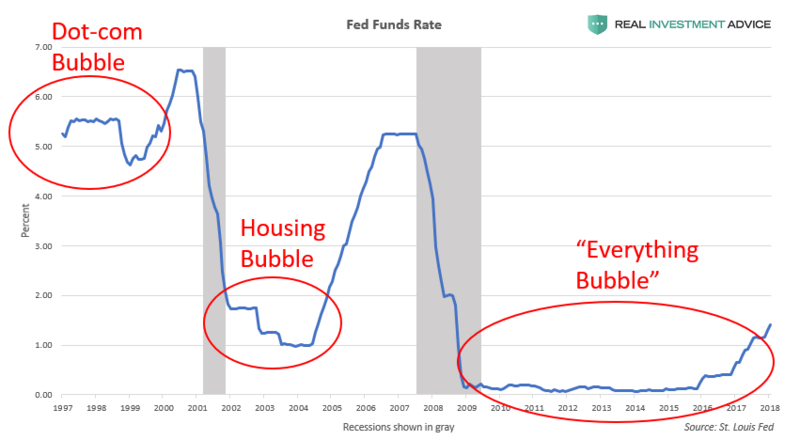 The Fed is making the same mistake once again: though the current “Everything Bubble” hasn’t popped yet, it’s only a matter of time before it does…it’s just math. By holding interest rates artificially low, the Fed has been encouraging the growth of the U.S. debt bubble. This debt bubble is significantly larger than it was in 2008, which means that the next downturn is going to be even more powerful, unfortunately. The Fed’s pro-asset inflation policies have helped to push U.S. stock market valuations to 1929 levels. At some point, these valuations will revert back to the mean, as they always do, which will result in a powerful bear market. The latest Fed-induced asset bubble (which is occurring in stocks, bonds, and some parts of the property market) has helped to boost U.S. household wealth in a manner similar to what occurred during the late-1990s Dot-com bubble and mid-2000s housing bubble. 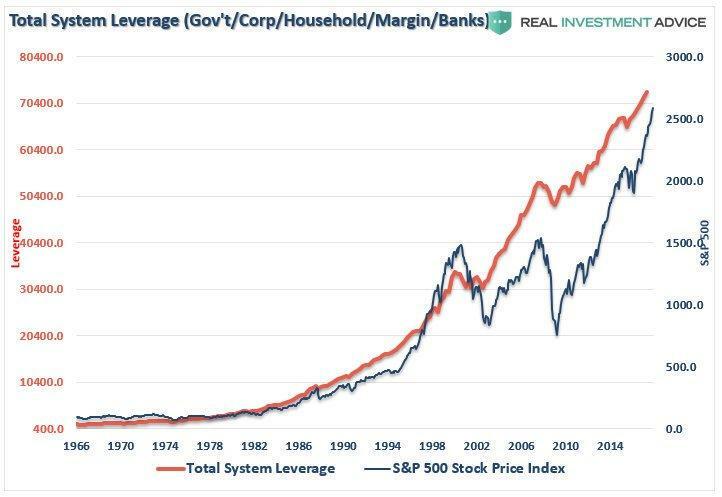 Unfortunately, this “wealth boost” is not a permanent gain or windfall, but a temporary increase until the latest asset bubble inevitably pops. Threats to the global financial system are rising, with the price of risky assets surging in a manner reminiscent of the years before the global financial crisis, the International Monetary Fund warned. Downside risks to world financial stability have increased “somewhat” over the past six months, the IMF said Wednesday in the latest edition of its Global Financial Stability Report. “Financial vulnerabilities, which have accumulated during years of extremely low rates and volatility, could make the road ahead bumpy and could put growth at risk,” said the Washington-based fund. Prices are frothy across a variety of assets, according to the IMF. Stock prices are high relative to fundamentals around the world, especially in the U.S., the fund said. Corporate bond valuations are also elevated, with signs of overheating in demand for leveraged loans from firms with low credit ratings, it said. It is disingenuous for the Fed’s Neel Kashkari to place the blame solely on Wall Street for “forgetting the lessons of 2008” when the Fed itself is forgetting those lessons in such an egregious manner. This type of thinking at the Fed is why another massive financial crisis is already baked into the cake.